Let us help you find cheap car rental deals. Search, compare and book car rental at Rentalcargroup.com. Rentalcargroup.com offers a price and fleet comparison of most major and independent car rental companies around the world. 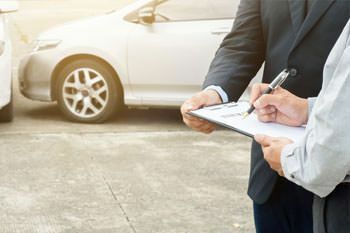 Our database connects in real-time with the servers of the car rental companies and shows you a fair price comparison of that moment. Search – use our real-time car rental quote system and within seconds you will have a comparison of the prices and fleets of the car rental companies in over 20,000 locations. Compare – Choose preferred car rental company based on price, insurance coverage or fleet of cars. We offer a great range of vehicles from economy to luxury convertibles. Book – Complete our simple and secure online form and choose from the available insurance options and you will receive your car rental confirmation immediately. We offer details on car rentals and travel tips for most destinations that we cover. Be sure to read the insurance section, destination guides and useful information. We offer costumer support in 12 languages and are open 7 days a week, 365 days a year!. If you have any questions or problems you can connect with our team live chat, phone or email. Your car will have a full tank of fuel upon pick-up. When you return the car, the tank has to be full. Make sure you return the car with a full tank to avoid extra fuel charges. If the tank is not returned full, the supplier will refill the tank at a higher rate than the local petrol stations and they will charge you extra administration fee. 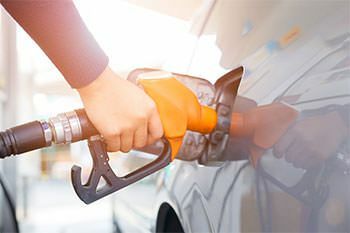 This fuel policy is normally the preferred choice as it gives least issues at the end of the rental. When you pick-up your vehicle, you get a car with a full tank of fuel. When you return the car, the tank does not need to be full. There is no refund for the unused fuel with this policy. If you don’t want to worry about refueling the car you can get a full to empty policy. This works best for people who know they will be driving a lot and will use up a full tank. When you pick-up your vehicle, you get a car with a full tank of fuel. When you return the car, the tank does not need to be full and you will receive a refund on the unused fuel. The refund will be made when you give back the car, but an administration fee will be charged by the car hire company. Car rental insurance is confusing, complicated and is the number one question when clients call us.. What kind of insurance do I need? This is the main question we hear from our clientele. In most cases, you don’t need all the different kinds of rental car insurance that the car rental companies push you to buy! Let’s start by explaining the different type of car rental insurance. What is Collision Damage Waiver (CDW) for a car rental? Collision Damage Waiver / Loss Damage Waiver (with excess) limits the customers financial responsibility for loss or damage of the vehicle up to the excess amounts as long as it is not caused by driver / renter negligence or part of insurance exclusions. Example: If you take a CDW insurance with an excess of 700 USD – you will be covered for damage and theft but with a deductible of 700 USD. What is Super Collision Damage Waiver or Supplemental Liability Insurance. Super Collision Damage Waiver is an extra insurance to reduce the excess/deductible. This insurance can be only purchased on arrival directly at the car rental desk. This insurance can be pricey. Liability insurance for car rental covers damages to other persons car or property as well as for medical costs for injuries that you are responsible for. Most of our car rental offers include a CDW insurance but with an excess between 500 to 3000 USD. This means that you will be responsible for this excess amount in case of damage or theft to your rental car. We highly recommend that you take our EXCESS COVER INSURANCE that is offered to you in our booking process. This excess cover insurance will make sure that for a small amount you are completely covered in the case of accident or theft to your rental vehicle but also for Flat tires, cracked windshields, damaged headlights, lost keys, and towing.